We love it when we win things and when we were chosen for best saloon in the whole USA by readers of True West Magazine, all we can say is Thank You! 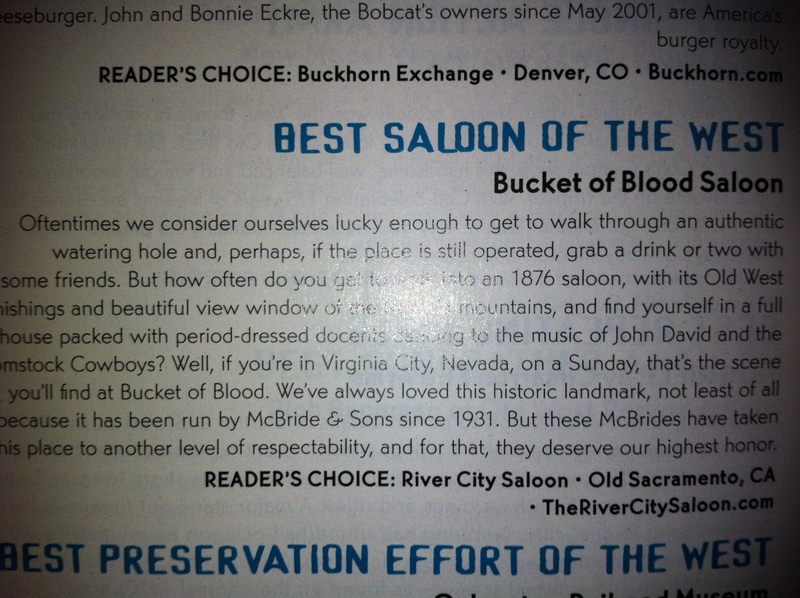 Now the Magazine’s Favorite is Bucket Of Blood up in Virginia City, and we can’t even compare to that great place. 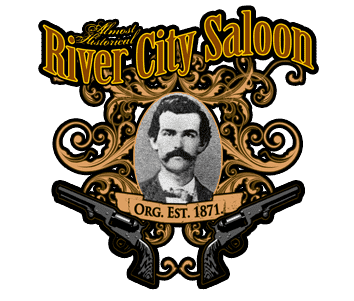 So congrats to the staff for making so many visitors the The River City Saloon in Old Sacramento feel great when visiting the Last Old West Saloon in Sacramento. 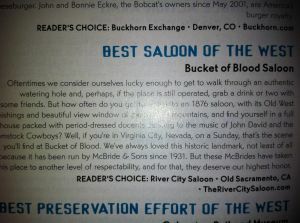 River City Saloon has won many awards and this will be another memorable one. Oftentimes we consider ourselves lucky enough to get to walk through an authentic watering hole and, perhaps, if the place is still operated, grab a drink or two with some friends. But how often do you get to walk into an 1876 saloon, with its Old West furnishings and beautiful view window of the Nevada mountains, and find yourself in a full house packed with period-dressed docents dancing to the music of John David and the Comstock Cowboys? 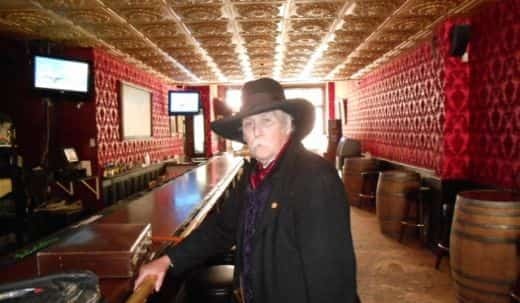 Well, if you’re in Virginia City, Nevada, on a Sunday, that’s the scene you’ll find at Bucket of Blood. We’ve always loved this historic landmark, not least of all because it has been run by McBride & Sons since 1931. But these McBrides have taken this place to another level of respectability, and for that, they deserve our highest honor. 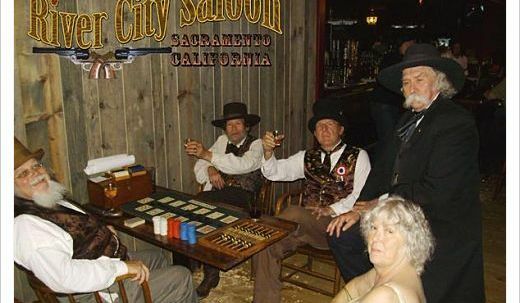 So when you are visiting Old Sacramento, you should consider visiting the River City Saloon, it will take you back to the good old days of how saloon’s looked and felt. SacramentO, Ca, October 21, 2011: With so many parties on the weekend leading up to Halloween the restaurants and bars of Old Sacramento have teamed up to celebrate Halloween on Monday October 31st as a block party. Being promoted as “Nightmare On 2nd Street”, seven of the Old Sacramento establishments have agreed to team up and run the event together as a block party instead of a single party at each venue. All seven of the establishments are within the 2nd street block making it easy to walk from one establishment to the next. Venues include River City Saloon, Fanny Anne’s, O’Malley’s, Vegas, The Other Office, Sports Corner and the newly opened Coconut Grove. The event starts around 9pm and runs until closing time that night. This event is for those of legal drinking age. SacramentO, Ca, aUGUST 29, 2011: One of Sacramento’s best festivals gets going this Friday night, Sept.2nd with a pub crawl of sorts. 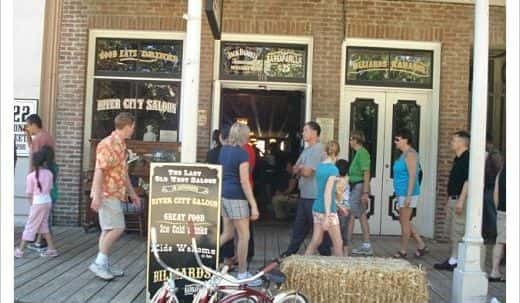 Being promoted as a Beer Crawl, participants will buy a ticket to the event being hosted by River City Saloon and the many drinking establishments of Old Sacramento for just $10.00. Participants will then visit 9 of Old Sacramento’s best drinking venues, in no particular order, and receive a 6-9 oz sample of a great craft beer. Guests can crawl bar to bar from 6pm to midnight getting their ticket punched at each venue in exchange for the draft beer. With the area transformed for the festival that weekend guests are encouraged to dress in 1800 period attire. After the event all venues will remain open till 2am offering live music, DJ’s, dancing and karaoke. 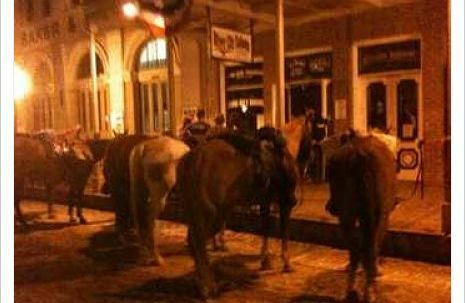 Mardi Gras was at one time banned from Old Sacramento for getting too rowdy. It has now come back and is a great time. Check out the footage from Sacramento’s Chanel 3, kcra news team on River City Saloons bartender Eric Moul. 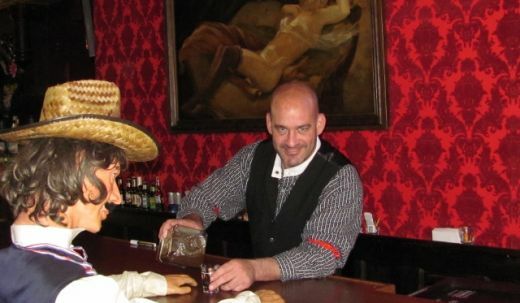 Yes we have had many weird happenings in the saloon. Ghosts seem to be hanging out still trying to get a drink. Not a problem we will serve them as they have to be over 21. Bartenders at the River City Saloon often have weird stuff happen. Things move, doors swing open on there own, lights turn off and on above the bar, strange noises all the time when we are cleaning up. Here is one that a employee filmed from his iphone at the end of the sift.